I’m so happily sharing vegetables with you today. But are these, like… realllly vegetables? Because this whole shebang tastes way too good to be classified as such. Oh and? This was my first time making hollandaise. What? Doesn’t make any sense, but it’s totally true. For awhile I wasn’t even sure I LIKED hollandaise. Thank God I made it through that phase bright eyed and bushy tailed. And I actually whisked this together myself. I thought my arm might fall off. I whined a lot. Complained. Pouted. Whined some more. Simply put, I was not at my best. Maybe you should use a blender. These artichokes aren’t quite as stuffed as the traditional ones I make… I like to think that they are just lightly grazed with herbs and gorgonzola, but at the same time, packed with flavor. The gorgonzola helps “glue” the crumbs to each leaf, which in turn remain on the leaves – even through a solid hollandaise dip. And solid each dip was. Trust me. I wish you could have been a fly on the wall for the aftermath of these photos. A witness, if you will. The minute I set down my camera, my husband and I completely devoured three whole artichokes continuously dipped in hollandaise. They were absolutely terrific. I mean, really – we stood at the corner of the table, dip after dip, until we were left with nothing but a huge pile of teethed leaves. We didn’t even sit down. We didn’t speak. We didn’t look at each other. For a full 15 minutes we just constantly ate, bite after bite, until there was nothing left. It might be one of my most favorite moments ever. Forevah evah. Cut the stem from the bottom of the artichokes so it can sit upright, then trim off the tops of the pointy leaves with kitchen shears. Fill a large pot (one big enough to fit all 4 artichokes) with water, bring to a boil, then place the artichokes top-side down in the pot. If they keep turning over, place a plate on top to help keep them top-side down. Boil for 15-20 minutes. Remove and let drain upside down on a plate. In a bowl, combine bread crumbs, herbs, gorgonzola, salt and pepper, mixing together with your hands. Add in olive oil and using a spoon, mix until completely combined. Then use your hands to really bring it all together. Separate it into four equal parts, then lightly pull open each artichoke and stuff a bit into each. Place top-side up in a baking dish, then pour about 1/3 cup of water in the bottom of the dish. Bake for 20 minutes, then remove, serving with hollandaise. In a small saucepan, combine egg yolks, lemon juice and water, then set aside. In another saucepan, add butter and heat over low heat until melted. Immediately remove and set aside for 3 minutes. While the butter is cooling, heat the other saucepan with the egg yolks over low heat, whisking constantly until foamy and then smooth. I whisked for about 5 full minutes, as you want the yolks to be slightly paler in color. Skim the foam off the top of the butter. Remove yolks from heat while still whisking, and add in butter a drop at a time, constantly whisking for about 30 seconds after. I added about 10 small drops (whisking after each), then moved to adding about 1 teaspoon at a time, whisking again. It takes a long time but is totally worth it. About 3/4 of the way through, you should notice the mixture really thickening and lightening in color. The recipe recommended leaving the white solids of the butter in the saucepan, but my butter was still pretty melted so I added almost all of it – this did not affect the final outcome. Once all butter has been added and sauce is thick, whisk in parmesan cheese and taste. Season with salt and pepper if desired. Hollandaise is only good for about an hour after it is made, so consume it quickly! Annnnd now I’m annoyed because I want more. Every time I make artichokes I screw something up but I need to try again with this recipe! Yum! And this gorgonzola piece there in the 2nd photo is gorgeous!! And good heavens, Jessica! What beautiful photos and recipe! My mother LOVES hollandaise sauce. Sometime, I wonder if it’s more than she loves me (kidding, sort of). These look DE-LISH! I love putting a bit of chili powder in the stuffing for my ‘chokes … it gives it a little extra kick. This looks delicious! I’ve never actually cooked with artichokes. I don’t even think I’ve eaten an artichoke in that manner before … the only thing I’ve ever eaten was spinach and artichoke dip! Shame on me! I’ve only made stuffed artichokes once and they took so much time that I haven’t done it again- but you’re inspiring me to try this recipe! I need to try this. 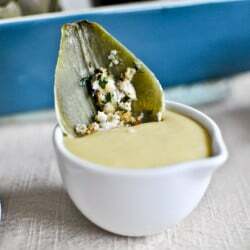 I’ve only had artichokes mashed into dips and now that I know how to cook them, I’m gonna give it a go! i’ve got to try these! i’ve never “made” artichokes before. cheese stuffed anything has my name all over it. Yum! I never cooked with a whole artichoke before, normally I buy jarred or canned. This looks fabulous darling!!! 1. This recipe looks sinfully amazing. Can’t WAIT to try it. the first time i made it i was snowed into my apartment, alone, my heat had gone out but my crappy electric stove still worked. so i had the oven on and cracked opened to heat my apartment and i made eggs benedict 3 or 4 times till i figured it out. obviously after watching julie and julia. i seriously thought my arm was going to fall off too. The best part about living in CA is how cheap (and huge) the artichokes are. i always eat mine with a dill seasoned dip, so good! Your hollandaise is making me crave eggs benedict right now! I have not made artichokes in forever. Oh, my. This recipe just changed that. Must make very, very soon. Hahaha I LOVE that you and your husband devoured these after the photo session. My father in law makes hollandaise sauce every year on Christmas for the most artery-clogging eggs benedict you’ve ever had and this year I helped stir for (maybe) 5 minutes, and couldn’t stop complaining. Blender fo sho. These look fantastic!! I love stuffed artichokes. My mom used to make them pretty often when I was growing up, but I haven’t had one in ages! Crap, artichoke with hollandaise is my favorite…adding in Gorgonzola sounds like I’m just going to refuse to eat anything else ever again. Helllloo morbid obesity. I’ve always been intimidated by whole raw artichokes but this seems simple enough! I had never had artichokes til last year…and I wasn’t that impressed but I think that’s because I hadn’t tried these. Holy goodness these look good! I feel ya on the cost of artichokes…definitely some highway robbery going on there. But, oh it is sooooo worth it! I so wish you could! You take each leaf and pull it through your teeth, scraping out the “meat” at the end. Then you can eat the heart in the middle. It is worth it but I have many foods that I feel like aren’t worth the work to eat (chicken wings, crab legs – too little meat for all the work). I think these are worth it but probably because we only eat them 2-3 times a year! oh, but Jessica – ya gotta tell them about the points, and about the fuzzy, hairy area above the very BEST part of the artichoke- the heart. Some people looking at that part might throw it away, but you scrape off the fuzz, and dip the heart and YUM!! Also- a lot of ppl will not eat the stem (and I wouldnt do it alone) but a ripe artichoke stem is as tasty as a leave, closer to the heart in flavor, but a little tougher..
okay- not like THIS post is long or anything…. $3 each?! That’s a crime! We pay $1 each, but if you go to Castroville (or general Salinas area), they’re 3/$1 and the baby ones (the ones that you can eat whole, omg) they throw in free. It’s California heaven. Ok, now I don’t want to leave Cali. This is bad. Oh, yum! These would be so delicious for the next time I make an Italian meal for friends. 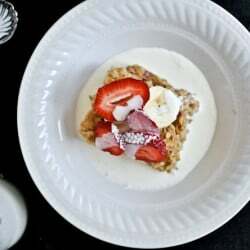 Great recipe and droolworthy photos! Whole artichokes always intimidate me so much. I need to bite the bullet and try it out. I would never have thought to put blue cheese on an artichoke, but these look great! Have you ever seen the Whole Foods ANDI scores for nutrition? They rate foods on a scale of 1 to 1000 according to vitamins, minerals, antioxidants, other healthy stuff… Artichokes are pretty high on the list! That hollandaise looks positively divine! I have never made it at home but now I need to..and your artichokes turned out perfectly! I admit that I’ve ruined more than my fair share of CSA-box locally grown, organic, and perfect artichokes in my day. Now I just use frozen from TJ’s…but I need to try again with whole ones. Holy moley!! Vegetables never looked so good! I have never eaten whole artichokes before. I don’t know how. But maybe I should give it a try. Your beautiful photos are so tempting. You had me at gorgonzola…I love it! This looks delicious, Jessica! O.M.G. These look amazing. I have never eaten fresh artichokes – how tragic is that?! My mom has a fabulous hollandaise recipe that she whips up in minutes with a blender – SO easy. I’m so glad you posted this! My boyfriend and I had some killer Eggs Benedict this weekend and were discussing the best way of making a hollandaise sauce. We also determined we need to start making eggs benedict ourselves, as we never have in the past. I’m going to follow your parmesan hollandaise recipe when I make eggs benedict. Oh, and the stuffed artichoke looks awesome! Great dish! I have to admit, I’m a little terrified of whole artichokes. I bought one last spring and completely butchered it. But this recipe might just tempt me to try again! We grew up on artichokes- all 6 kids love them and now my kids love them. I trim the tops and toss them in my electric pressure cooker with a cup of water and half a lemon and they are done in 8minutes. Pluck and dip in lemon butter! I’ve never had them any other way. I’ll have to try this. Omgaah. I may be drooling, this looks so good! Making this as soon as I can get my hands on some artichokes! Also, I feel a lot better now about spending $30 on blood oranges last month when they were *ahem* “on sale”, so thanks! You know, my husband and I were just talking the other day about what exactly you are supposed to do with artichokes… besides the whole cook, peel, and eat with butter thing. And I guess as the occasional topping for pizza… maybe. I have to try this! I am such a hollandaise girl… I feel guilty for admitting that! Beautiful pictures! My hubby and I love artichokes. We may have to try these. I think the kids would enjoy them, too. THey’re just fun to eat! Every time I make cookies without my kitchen aid my arm is sore the next day. I love whole artichokes, I love hollandaise, just thank you is what I’m saying. hmmm I honestly am not sure how to describe it, I think it has it’s own very unique taste!